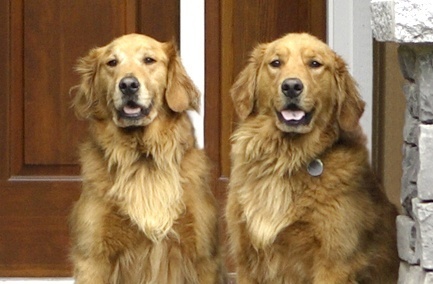 Goldens are active, alert and eager to please. They require a moderate level of exercise, are extremely easy to train and are very social with family, children and even strangers. 21 – 24 inches (55-61 cm) Weights: Males 65-75lb (29-34 kg); Females 60-70 lb (27-32 kg). They have a dense, shedding coat that may be straight or wavy with heavier feathering on the front of neck, backs of legs and underside of the tail. Also prone to elbow and hip dysplasia. 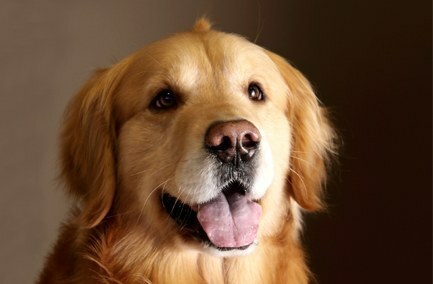 Trustworthy, loyal, and great with kids, Goldens flourish with close human companionship. This is not a “backyard” dog that can be left alone.